· Shall preside over all Club meetings and be accountable for the administration of club business. · Shall carry out the direction and policies established by the Board. · Votes on all Board matters requiring a vote and provides a tie-breaking vote if necessary. · All committees, including standing committees, and the Chairpersons thereof, shall be appointed by the President with Executive Board approval. · In the event of vacancies on the Executive Board, the President shall appoint, with Executive Board approval, interim replacement Executive Board Members until official elections can be held. · Responsibility for managing outreaches into the community & is the principal liaison with community partners. · Negotiates contracts with athletic clubs where GOPB plays and manages the affiliate interface with the USA Pickleball Association. · Shall perform all duties of the President in the event of the President’s absence or inability to perform. · Shall perform other such duties and responsibilities as may be assigned from time to time by the President. · Shall be responsible for two of the Committee Chair Persons. · First Vice-President shall be designated by the Board from the three Vice-Presidents elected by the members. · Shall be responsible for three of the Committee Chair Persons. · Issue notices of all meetings of the Board or General Membership through the Communications Chair. · Conduct all correspondence relating to the Club’s business. · Furnish whatever reports to other persons or organizations as may be required. · Shall receive and deposit all moneys due to the Club. · Pay all obligations that may be incurred by the Club in the regular course of its business. · Shall provide an up-to-date ledger of all financial transactions. · All cash receipts, with the exception of petty cash, shall be deposited in the club account. · All expenditures by the Club or any member on behalf of the Club must be made by check or club credit card unless it comes from petty cash. · Provide financial reports as may be required at all meetings of the Board or General Membership. · Consolidates budget request from committee chairs into final annual budget to be presented to the Board. · Manages the PayPal account from moneys that come in from WildApricot.com and KeyHealth payments. · Files required taxes for 501(c)(7). · Finds people to welcome new members at each facility, sign waivers & gives them information about club. Watches for non-members playing at locations and explains about membership. · Collect checks or cash for those that don’t join online. · Takes pictures for directory & adds to website. · Takes request to join Keyhealth and sends them a Paypal link for one month. When payment is received, sends them a link to join Keyhealth. Updates GOPB membership to show as a member of KeyHealth. Sends all cancelations to Keyhealth before the monthly bill is issued. Receives the monthly bill from Keyhealth and verifies that all members have paid either by Paypal or check. Approves the bill and instructs Keyhealth to pay using the credit card on file. Sends copy of payment to the Treasurer for their records. · Monitors Santa Fe membership to insure that we maintain 35 members per month for our six month contract. GOPB is responsible for anything below 35 members. · Social Media (Facebook) https://www.facebook.com/OKCPickleball Monitor pickleball sites for info to post, https://www.google.com/alerts alerts for pickleball digest daily, photos of local play, tournaments & etc. 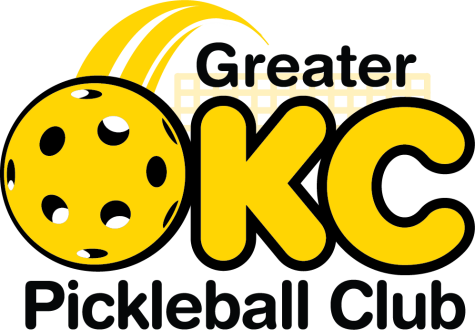 to add tips and other things of interest to OKC pickleball members. Updated frequently if not daily. · Webmaster - Update Wild Apricot Website for GOPB- http://greaterokcpickleballclub.wildapricot.org/ (administrative access). The website is one of the primary sources of information that is available to members for club activities and procedures. Gather information from various sources and try to keep it updated. The goal is to have the website be the main information source to members. · Conducts surveys as needed for the club functions. · Coordinates play times with facilities GOPB is the prime manager. Excludes responsibility for facilities such as Oaktree, Cherokee Hill Baptist and other OKC locations where the GOPB is NOT prime manager of play. · Organization of all member-play may include establishment of differing levels of skill-based play within organized play, establishing hours of and rules for challenge court play, determining and administering ratings systems, determining number and type of sessions at limited-hour venues. o Keeps inventory of club paddles and buys used paddles from members for the club for $25 when needed. · Send notice of ratings change to Webmaster to change on website. C5. Leagues. Responsible for establishing assorted league play for GOPB members. · Write stories and make videos about PB Club. · Make up handouts on locations and times of play for all facilities. · Contact TV stations, newspapers and all other areas of advertising to announce and promote upcoming PB events to the public. · Promotional items for club: t-shirts, hats, bags, water bottles, etc. · Plans and implements a variety of events during the year – (minimum of 4) in order to encourage the social interaction among all club members. · Responsible for providing refreshments & set up for all activities for the GOPB club. C8. Tournament. Responsible for coordinating tournament play in events sponsored by the GOPB & which GOPB’s expertise has been requested. · Responsible coordinating tournaments for which GOPB expertise has been requested.